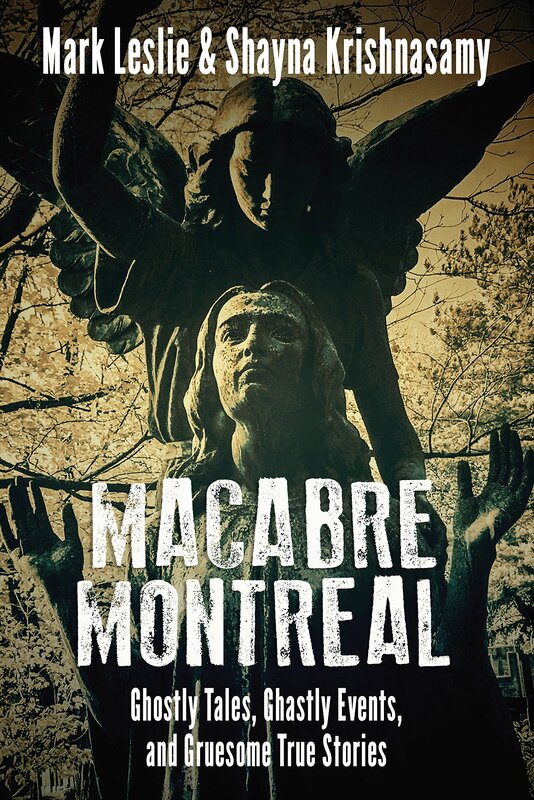 Welcome to the thirty-eighth installment of the Haunted Montreal Blog! 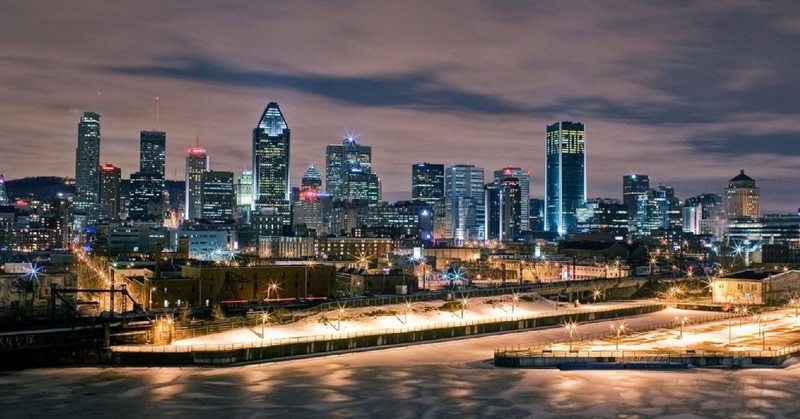 With over 200 documented ghost stories, Montreal is easily the most haunted city in Canada, if not all of North America. 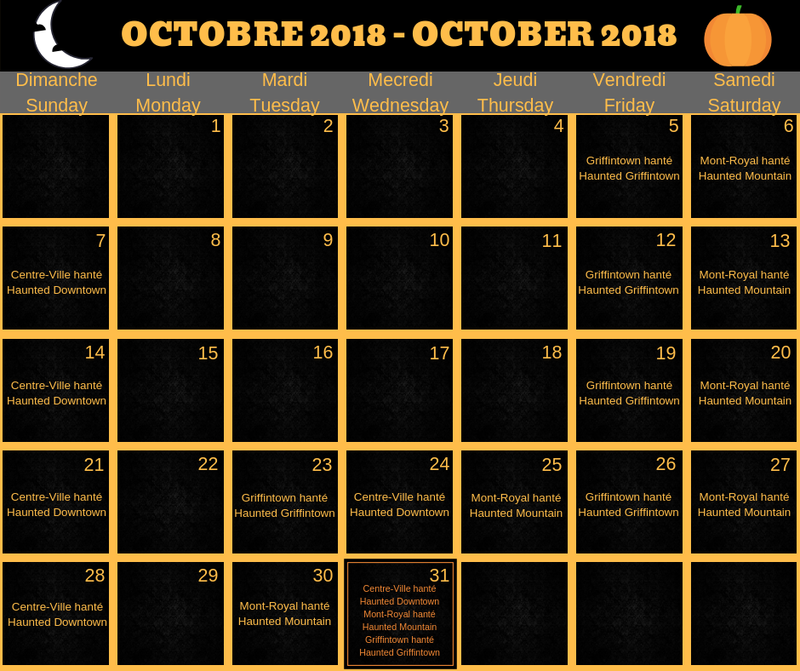 Haunted Montreal is dedicated to researching these paranormal tales, and the Haunted Montreal Blog unveils a newly-researched Montreal ghost story on the 13th of every month! Our October edition examines Ravenscrag, one of the world’s most frightening house of horrors. 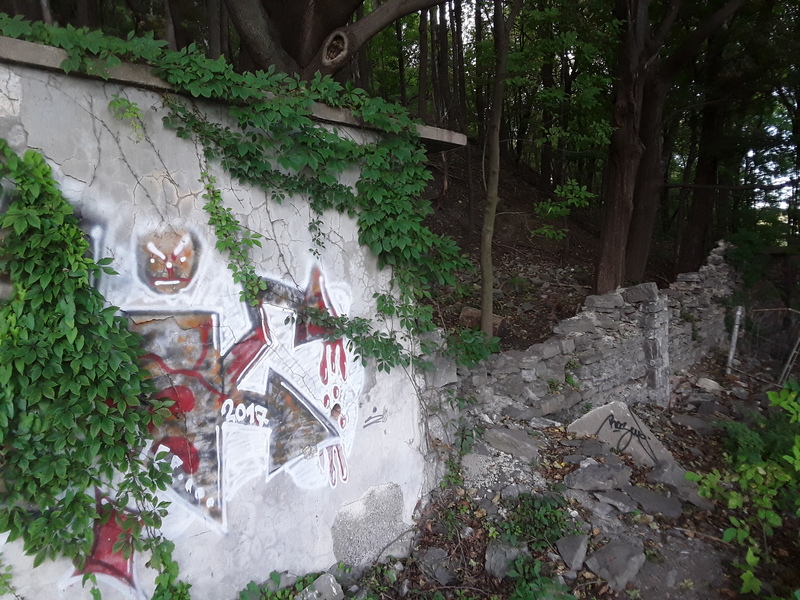 Perched on the slopes of Mount Royal, it is the location of deranged brainwashing experiments during the Cold War and may host a secret children’s cemetery. 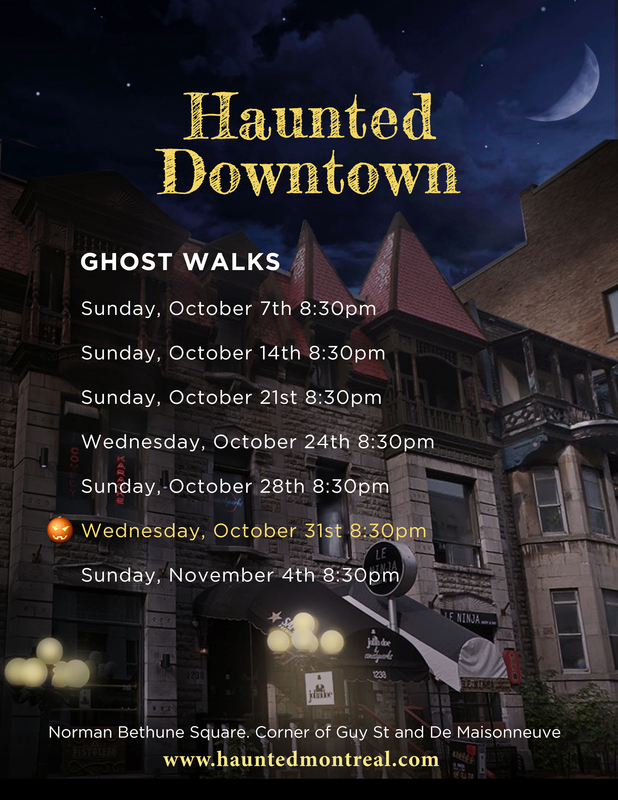 For the Hallowe’en Season, Haunted Montreal has added many extra tours, including our newly-revised Haunted Downtown Montreal ghost walk – in both English and French! During the month of October, please consider making Haunted Montreal part of your Hallowe’en Season. Tickets are now on sale! Haunted Montreal also offers private tours for groups of 15 or more people, including company outings, school groups, bachelorette parties and other gatherings of all types. Please contact info@hauntedmontreal.com to organize a private tour. 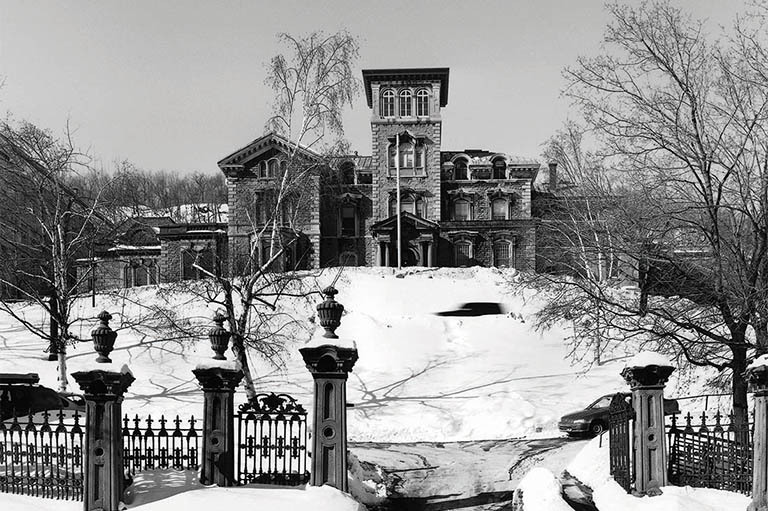 Ravenscrag is a prominent Pine Avenue mansion that is currently used as McGill’s psychiatry department. 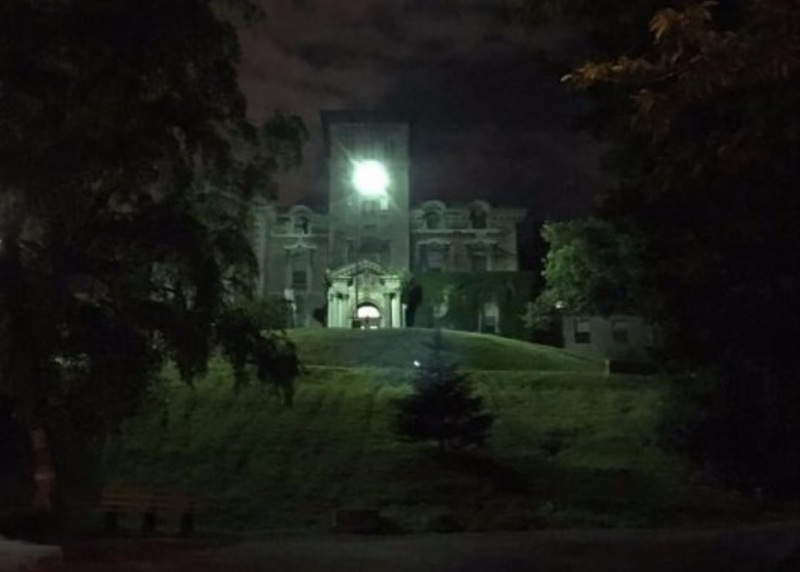 Now known as the Allan Memorial Institute, it is a very creepy estate and is also rumoured to be extremely haunted. Tortured, disembodied voices are known to echo the corridors and not only do caretakers often refuse to clean the terrifying morgues in the building, but sometimes at night a mysterious light appears in the cupola of the main tower overlooking the McGill campus. There are also rumours that a secret, haunted children’s cemetery exists behind the property, just behind the stone wall. 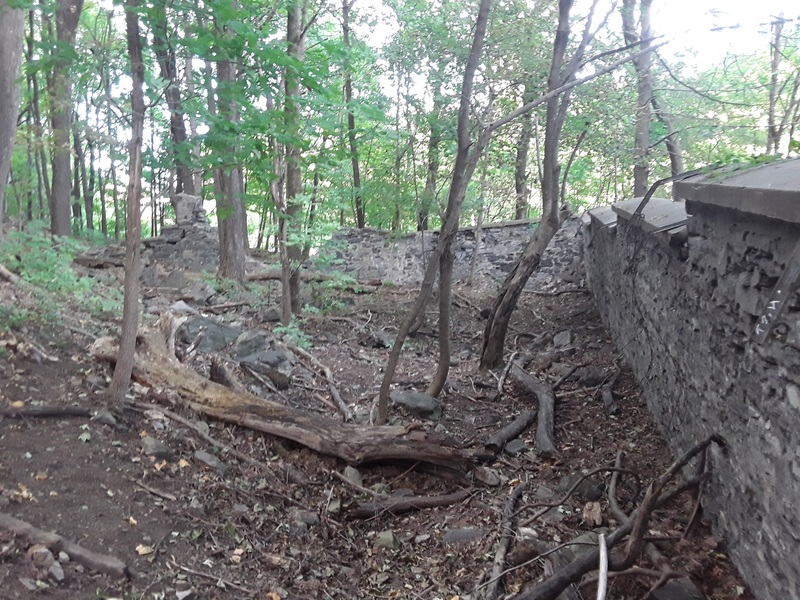 It is at the bottom of a slope that leads up to the Olmsted Road on Mount Royal. 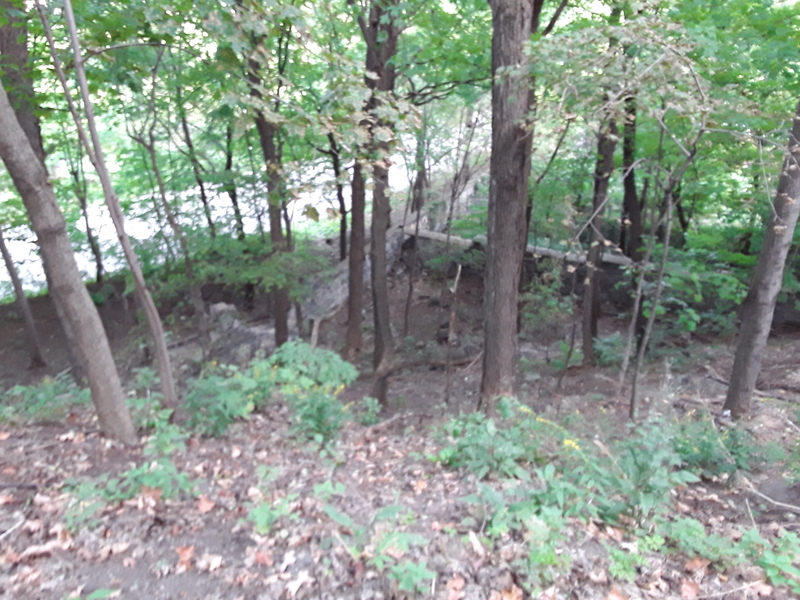 This rocky, forested area is popular with psychics and paranormal investigators, and often mysterious people can be seen there at night conducting strange rituals, often involving votive candles. Rumour has it the investigators sometimes hear disembodied children crying. Survivors of horrific brainwashing experiments claim that child victims were secretly buried at this location, out of sight from the public. Given the creepy rumors, mental health patients are often apprehensive about being treated at the Allan Memorial Institute – and for good reason, given its deranged history! Ravenscrag was built in 1863 by Sir Hugh Allan. An extremely affluent banker and entrepreneur of Scottish origin, Allan used his political connections to obtain favorable contracts and subsidies for his enterprises and was known to exploit workers, including children in his factories. In 1860, Sir Hugh Allan purchased fourteen acres on the slopes of Mount Royal, for $10,000, from the estate of the late Simon McTavish. Built in the style of an Italian Renaissance villa or palazzo, Ravenscrag consisted of 72 lavish rooms spread over five floors and decorated in the opulent Victorian fashion of the era. 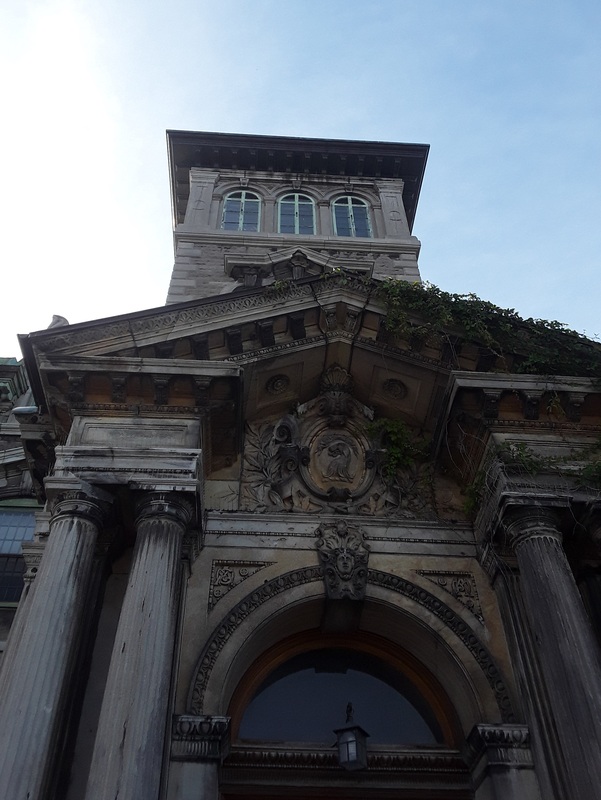 The mansion also featured an imposing tower with an observatory in the cupola, which Sir Hugh Allan used to monitor his ships with a telescope in the old port of Montreal. When built, Ravenscrag was also fitted with gas lighting and the most advanced plumbing and heating technology available at the time. It was the most lavish address in the city and hosted decadent parties for some of the most prestigious and wealthiest of people, including members of the Royal Family. 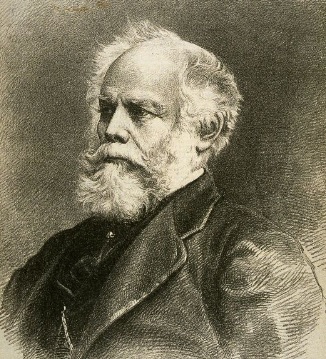 When Sir Hugh Allan’s died in 1882 while visiting his son-in-law in Edinburgh, he was one of the richest men in the world with a fortune estimated to be between eight and twelve million pounds. His is son, Montagu, inherited the regal Ravenscrag mansion. Following Montagu’s death in 1940, his wife donated it to McGill University. Ravenscrag was gutted of its lavish interior and transformed into a psychiatric hospital called the Allan Memorial Institute. With funds from the Rockefeller Foundation, Dr. Ewen Cameron, the founder of McGill’s Psychiatric Department, was appointed its director. In the early 1950s, during the first decade of the Cold War, the CIA believed it was crucial to learn how to brainwash people after the apparent success of the Chinese during the Korean War. A handful of American POWs made inexplicable confessions while publicly praising communism and denouncing the United States. Starting in 1950, the CIA reached out to psychologists, physicians and toxicologists and embarked on several mind-control projects, such as Project Bluebird, Project Artichoke, and Project MKULTRA. 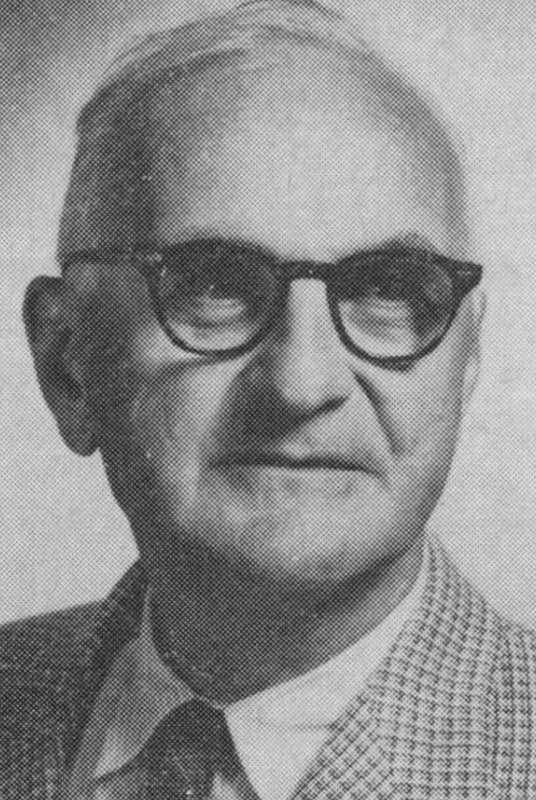 In 1957, the CIA managed to recruit Dr. Ewen Cameron, who was trying to discover whether doctors could erase a person’s mind and instill new patterns of behaviour. The purpose of his brainwashing experiment was to discover techniques that could destroy a person’s time-space continuum in order to re-program them. Dr. Cameron and his colleague Dr. Hebb started the experiment with 22 paid student volunteers. Each student was placed on a bed in a lighted cubicle and made to wear opaque goggles, cardboard handcuffs and lie with their head embedded into a U-shaped foam pillow that limited audio stimulation. Realizing the potential, Dr. Cameron moved the research trial to Phase 2, which would require subjects who could not leave, as the student volunteers had done. Dr. Cameron began hand-picking patients at the Allan Memorial Institute for participation in the brainwashing research, against their knowledge. For subjects, Dr. Cameron chose people suffering from minor mental and emotional problems, such as anxiety disorders or postpartum depression. Dr. Cameron developed and tested three major psychiatric procedures on the mental patients at the Allan Memorial. He started with the technique of “depatterning”, his theory that people’s patterns of behaviour could be erased and replaced with others. 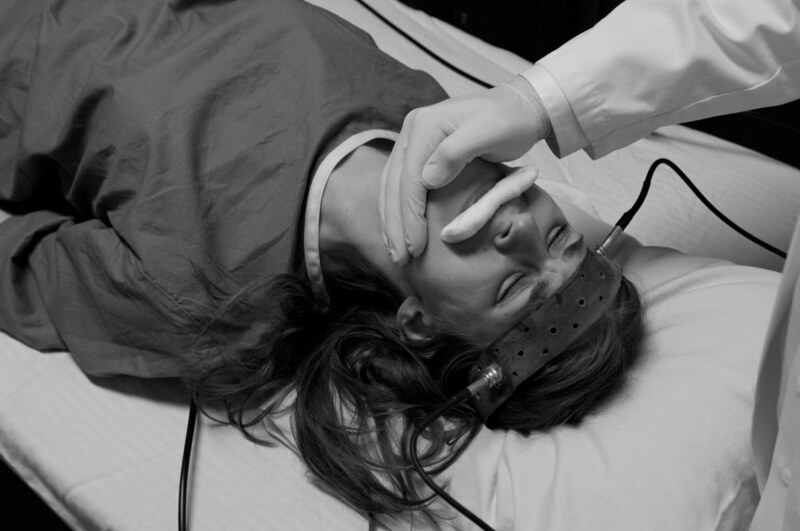 In an attempt to erase their memories and personality, Dr. Cameron subjected them to brutal electroshock sessions that were well-beyond the norm in psychiatric hospitals in terms of frequency, duration and voltage. 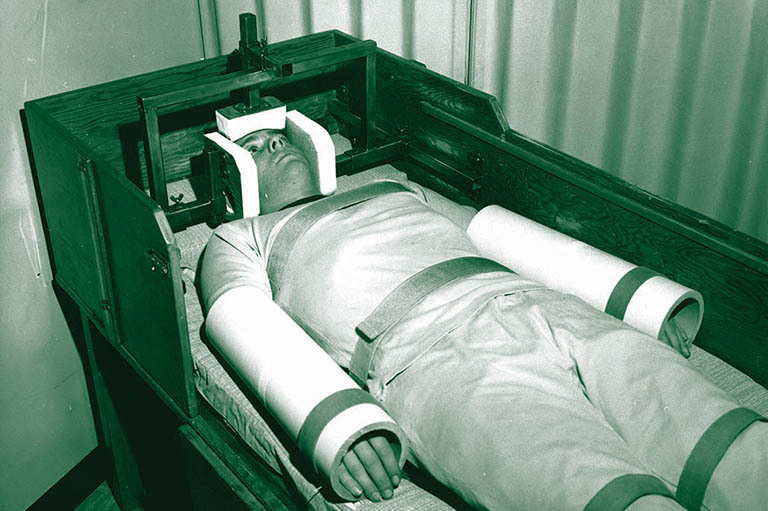 His second technique was called “sensory isolation” and involved putting subjects in a sealed box where they would receive the minimum sensorial stimulus possible. Their eyes and ears would be covered, their body would be padded, and their movement impeded. It induced a form of sleep deprivation and disintegration of the personality. Dr. Cameron then used his third technique, an attempted reprogramming known as “psychic driving”. Using powerful drugs he would put patients through 15 to 30 days of drug-induced, almost uninterrupted sleep. His patients were forced to listen to pre-recorded messages on a loop for as many as sixteen hours a day, designed to implant the desired new personality in the patients’ psyche. Dr. Cameron was largely successful in erasing the identity of his patients, but was unable to implant the desired new personalities. Many of them suffered permanent brain damage. 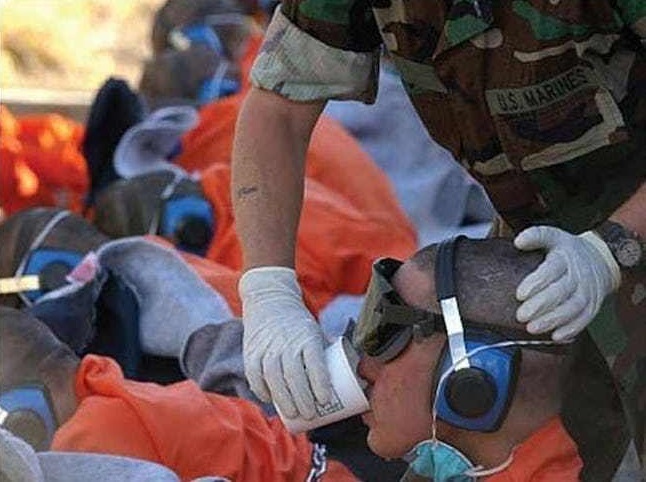 A study commissioned by Dr. Cameron’s successor in 1967 found that many of the tested patients suffered permanent amnesia, incontinence, forgetting how to talk, forgetting their parents, and even thinking their interrogators were their parents. The CIA was so impressed with Dr. Cameron’s work that these techniques became the core of its torture methodology and were used in Vietnam, and most recently, in Abu Ghraib prison in Iraq and at Guantanamo Bay. Most of Dr. Cameron’s un-consenting human guinea pigs did not discover what had really been done to them until more than twenty years later, which made it very difficult to obtain compensation. 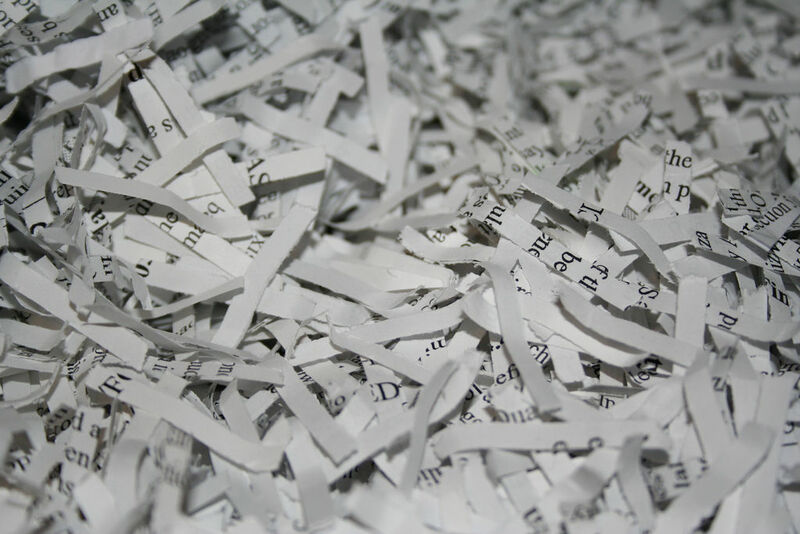 A few of Cameron’s over 300 former patients did file lawsuits, but they were originally obstructed by the Canadian government, which had also contributed to the financing of Cameron’s experiments. The reason Dr. Cameron was able to carry out such cruel experiments for almost a decade could be explained by the prestige that he enjoyed as a doctor. He was one of North America’s most eminent psychiatrists; he had served in the medical tribunal at the Nuremberg trials, and had been the president of the Quebec, Canadian, American and World Psychiatric Associations. Following his cruel and deranged career, Cameron died of a heart attack while mountain climbing with his son on September 8, 1967. Today, despite its horrid past, the Allan Memorial Institute continues to operate as a psychiatric facility and houses ambulatory (out-patient) services. 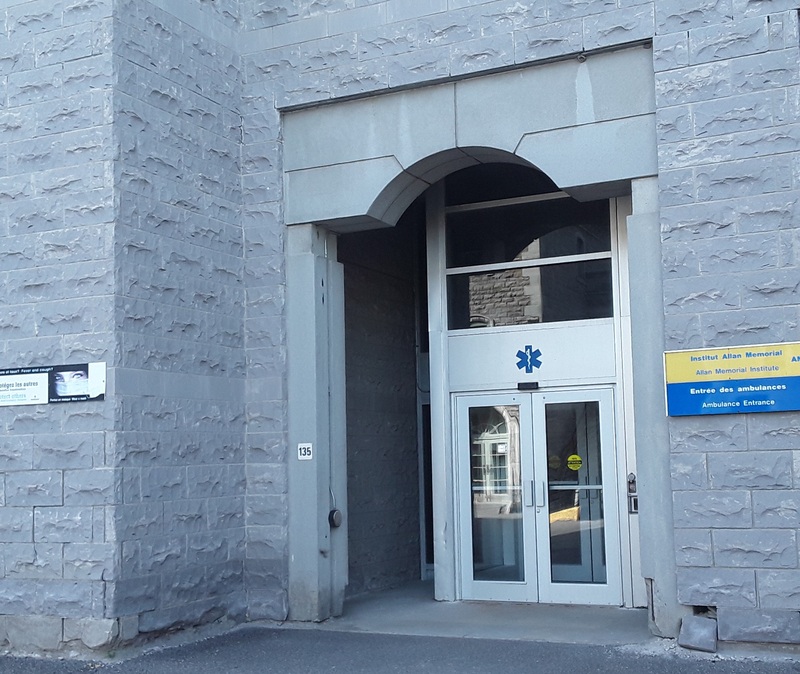 The In-Patient Services were recently amalgamated into the facilities at the Montreal General Hospital. Essentially, the Allan Memorial Institute now only offers out-patient psychiatric and psychological services, including cognitive behavioural therapy, as well as day clinics, programs and administrative services. Thankfully, there are no longer any beds at the Allan. 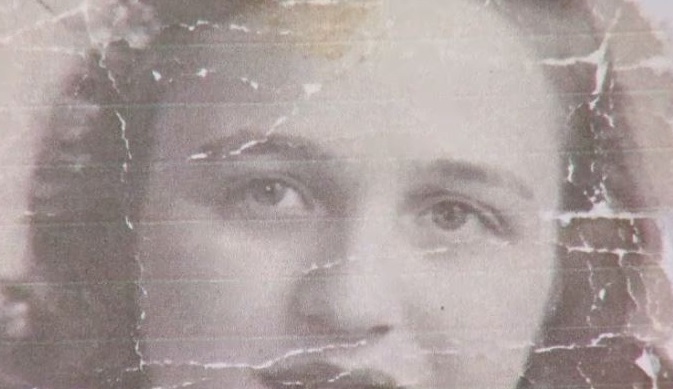 One survivor of Ewen Cameron’s experiments named Ann Diamond suggests that there are unmarked graves in the forested area behind the Allan Memorial Institute. Whether or not these are just the ramblings of an Allan Memorial Institute survivor or if there are indeed children buried down there is open to speculation. 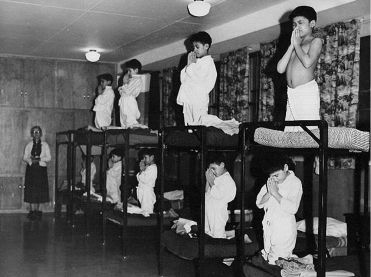 In Brenda Norre’s article “Location of Mass Graves of Residential School Children Revealed; Independent Tribunal Established” (Atlantic Free Press, 2006), she provides a list of hidden cemeteries across Canada where First Nations children who died in Residential Schools were secretly interred. The Residential Schools were designed to carry out cultural genocide against First Nations people. By stripping parents of their children, Canadian government authorities and religious officials forced the children to abandon their native languages and cultures to embrace austere Christian values. The death rate of children in some institutions was as high as 60%. 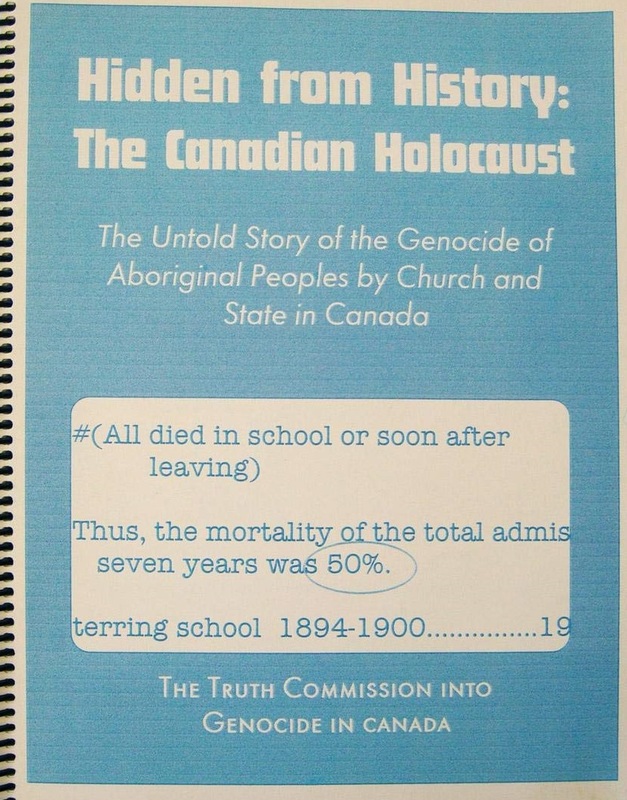 Based on eyewitness accounts from survivors of these horrible institutions, the secret burial grounds are cataloged in “Hidden from History: The Canadian Holocaust (2nd ed., 2005) by Kevin Annett”. Over the years, there have been many conversations in hushed tones as to why the government is not investigating the situation. There can be no doubt that the Allan Memorial Institute’s deranged experiments have also influenced fertile imaginations. The Manchurian Candidate, a novel by Richard Condon, was inspired by the experiments and first published in 1959. It is a political thriller about the son of a prominent American political family who is brainwashed into being an unwitting assassin for a Communist conspiracy. The novel has been adapted twice into a feature film, in 1962 and again in 2004. The 1962 version is faithful to the book and stars crooner Frank Sinatra. To this day, the creepy topic is still discussed on social media and recently was examined on the Haunted Talks Podcast. 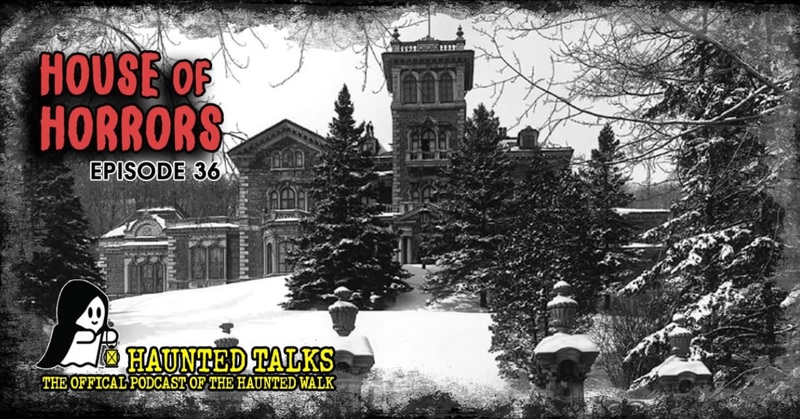 In Episode 36, House of Horrors, Jimmy Dean interviewed Haunted Montreal about Ravenscrag (July 27, 2018). Whether or not there is actually a hidden cemetery on the mountain site is still unknown at this time. Only one thing is certain. Until someone goes down there with a shovel or a spade and starts digging, this is one mystery that will remain unsolved. The Hallowe’en Season is now upon us and Haunted Montreal is pleased to announce we are offering all three of our ghost tours, including the newly-updated Haunted Downtown! Haunted Montreal also offers private tours for groups of 15 or more people, including company outings, school groups, bachelorette parties and all types of gatherings. Please contact info@hauntedmontreal.com to organize a private tour. Haunted Montreal would like to thank all of our clients who attended a ghost walk during the 2018 season! If you enjoyed the experience, we encourage you to write a review on our Tripadvisor page, something that helps Haunted Montreal to market its tours. Lastly, if you would like to receive the Haunted Montreal Blog on the 13th of every month, please sign up to our mailing list (at the top of the page, on the right). The John Doe, on Bishop Street, is one of Montreal’s many haunted pubs. Currently closed due to a fire, the Victorian building is said by bar staff and the owner to be infested with ghosts. Purchased in 1990 by a man named Troy, he originally intended convert the upper floor into his apartment. However, during renovations, he could hear phantom footsteps following him, no matter where he went in the building. After several other creepy paranormal encounters, he decided not to move in after all. Troy is believes his pub is haunted by three ghosts from different eras – a woman, a man and a little girl. 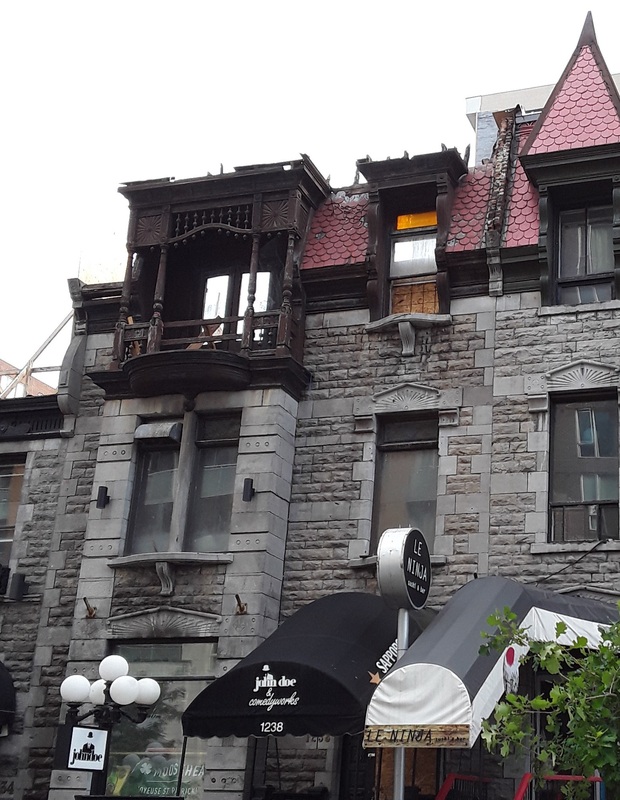 He is very keen to get to the bottom of the story and has invited Haunted Montreal investigators to spend the night when his bar finally re-opens. It is an opportunity the company is definitely looking forward to! I have been receiving your updates for a while. Very interested.I have been planning to take one of your tours with my son since a couple of years ago but I had to postpone it. Definitely, you can count me in, sooner or later,( probably more soon than later, though, since I am 76.). I already knew the Allen Memorial ‘s somber story..Fascinating and at the same time deeply troubling , if we think of the victims..
Will it be included in any of the forthcoming visits this month? I really hope so. I assume it will be just just a guided walk-by, because visiting the premises, however interesting and highly evocative it may be, might not be an option. Another point of interest would be the John Doe Pub. I have been hearing stories about this location for many years, including witness accounts of spooky ( and untoward contacts..) in the rest-rooms. May be when it will be reopened it would be interested to have a chat with the owner. Frankly, on a 0 to 10 belief scale, (0 being total skepticism and 10 being total belief) , I am perhaps at 4,at least in terms of POSSIBILITY, because the actual witness accounts may be ( and often are) driven by motivations other than good faith. In this light, my approach would be the same as I were reading fiction, keeping in the back of my mind that the line between reality and fiction may be blurred or non-existent..
Our Haunted Mountain tour visits the area above the alleged children’s cemetery. As for the haunted John Doe Pub, I’d love to hear any more specifics you might have. Please shoot us an email at info@hauntedmontreal.com if you can.